River Café owners Eva Sanchez and Margarito Larios are hosting this Benefit Concert & Dinner in support of Abril, a young doctor (and daughter of one of the restaurant's musician), who needs surgery as part of her cancer treatment. 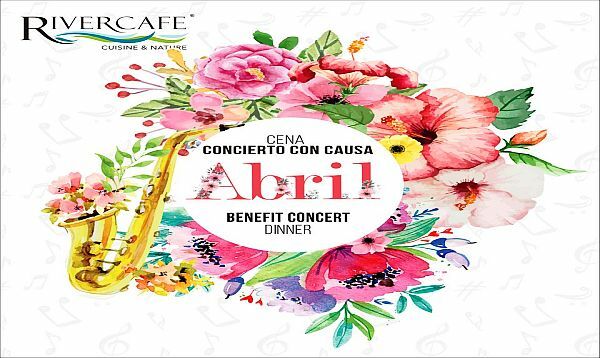 Puerto Vallarta, Mexico - The River Café invites everyone to attend a Benefit Concert and Dinner on Friday, April 12, 2019. You'll enjoy an incredible evening full of outstanding cuisine and great music performed by some of Puerto Vallarta's best musicians - for a worthy cause! Owners Eva Sanchez and Margarito Larios are hosting this special Benefit Concert & Dinner in support of Abril, a young local doctor (and daughter of one of the restaurant's musician), who needs a third and final surgery as part of her cancer treatment. Please help by attending this most amazing event, where you will enjoy great food and live entertainment, while helping to ease the financial burden of Abril's last operation, which is scheduled for May 8th, 2019. The River Café will also be offering 2X1 Margaritas, Daiquiris and Piña Colada to complement your meal and to enjoy throughout this incredible evening, so make your reservations today by calling (322) 223-0788 or online at RiverCafe.com.mx. Open daily from 8:00 am to 11:30 pm, The River Café is located at Isla Rio Cuale #4 in downtown Puerto Vallarta. Reservations are recommended and can be made by calling (322) 223-0788 or online at RiverCafe.com.mx.